Hey all, been a while since I posted, at a new job for months that has much longer hours, I get home and I am just drained. #1 To all that it applies to, I hope everyone has a very nice christmas!! #2 So, who has lava lamp plasma lamps. Which sizes do you have and can you post some videos of them? 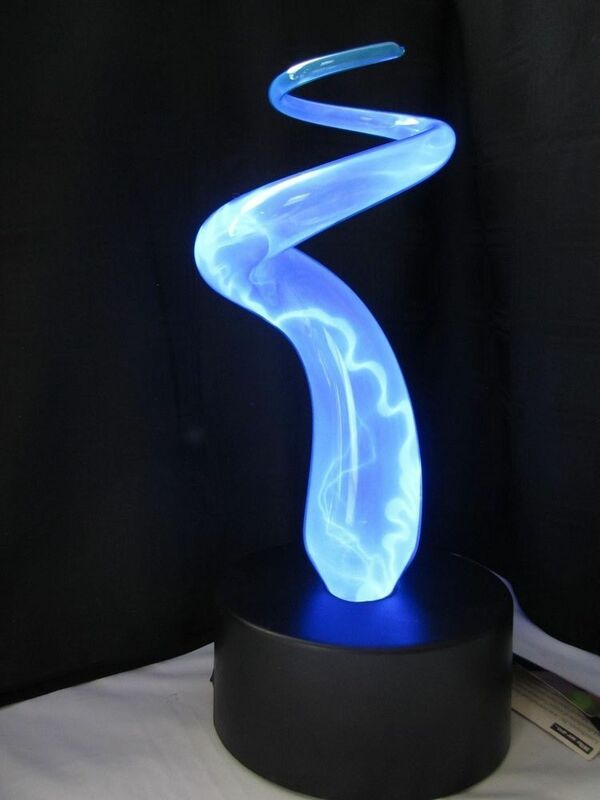 #3 If anyone has a grande plasma lamp, I very much envious of you. I would love to have one of these? It such a travesty that lava lamp stopped making these. Does anyone know how much there were new? Hey Rod, good to here from you! Merry Christmas to you also! I've never had a LL plasma lamp, but I almost got one a couple of years ago. But I don't have a place for one, and I have a globe one that I don't even have out. Now, if I had a Grande plasma I would just have to make a place for it! Thanks. i am starting to get into plasma lamps and have a few en route from ebay. Mostly 80's/90's models form radio shack and lite f/x. The new stuff is not that great. I got a 6" from walmart, Not bad but not great. These are really cool. I have one I'm going to set up in my son's room eventually. Right now I'm concerned it would get broke! Here is one of mine, not lava, have another like Keith's below and a Large Plasma plate one. keith, lumisource electra, those are very cool, not so easy to come by. Mr. Magoo, have seen those on ebay, again very cool! Small lava plasma 20oz globe. I recently got an entire bunch or more vintage plasma items from ebay, letgo and offerup. I hope to make a nice video in the next week or two. I just have to clear enough space to run them all at the same time. I really enjoy these lamps and use them far more than any of my lava lamps OTHER than my grandes which are weekend warriors. Did you ever score the plasma head? No, she still has it for sale but is very bad with commincating, I am going to try again in the next few weeks and see where it goes.